Referred to as the “G7” in the hallways of the headquarters, the Executive Team of the Veranda Leisure & Hospitality group (VLH) gathers on a regular basis to strategise and ensure the teams carry out the group’s overall vision and objectives. 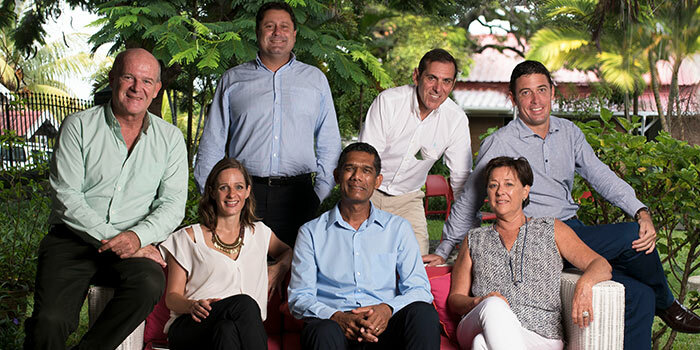 Meet the dynamic and talented team behind the leading hotel and leisure group. Born in 1961, François Eynaud is an ICN Business school graduate. In 1983, he joins Sagem (France) as Export Director, which marks the beginning of a successful career. He is appointed Country Director of Sagem, first of the Caribbean and then of England. In 1991 he returns to his native country and joins CIEL Textile as Marketing Director. His strong personality, passion for innovation, capabilities, and ability to negotiate enable him to climb the corporate ladder. He is promoted CEO of Tropic Knits in 2000. His career in the textile industry prepares him for managing crises but also teaches him efficiency and rigour. 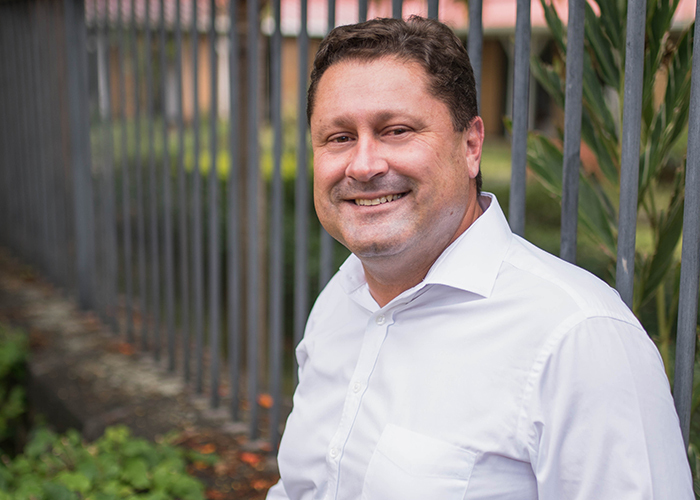 In 2008, he is named CEO of Veranda Resorts and drives its transition to VLH (Veranda Leisure and Hospitality) two years later. The hotel group is the first of its kind to manage two distinct categories of hotels in addition to a Leisure branch. 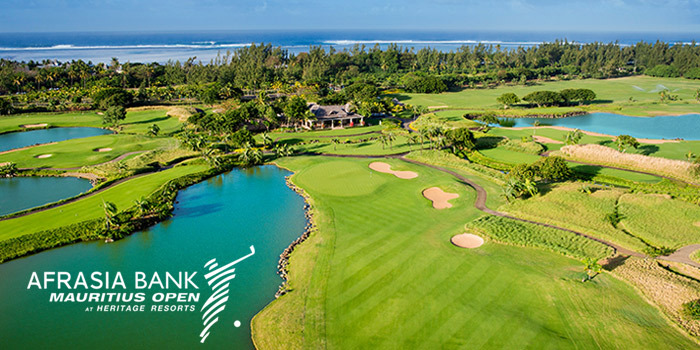 As a visionary leader, he aims to develop the group’s competitiveness in the face of an increasing, global competition but also to internationalize the two brands, Veranda Resorts, and Heritage Resorts, in the Indian Ocean region. 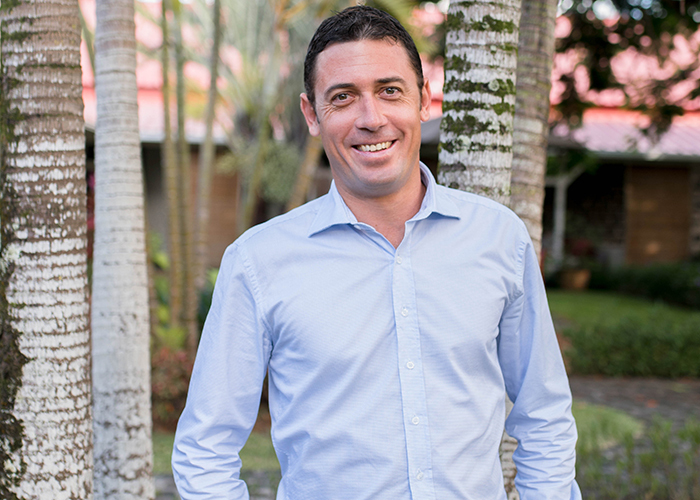 A key player within the local tourism industry, François Eynaud was President of the AHRIM (Association des Hôteliers et Restaurateurs de l’île Maurice) from 2013 to 2014. Born in 1973, Thierry Montocchio has a business and an accounting degree from the University of Cape Town. 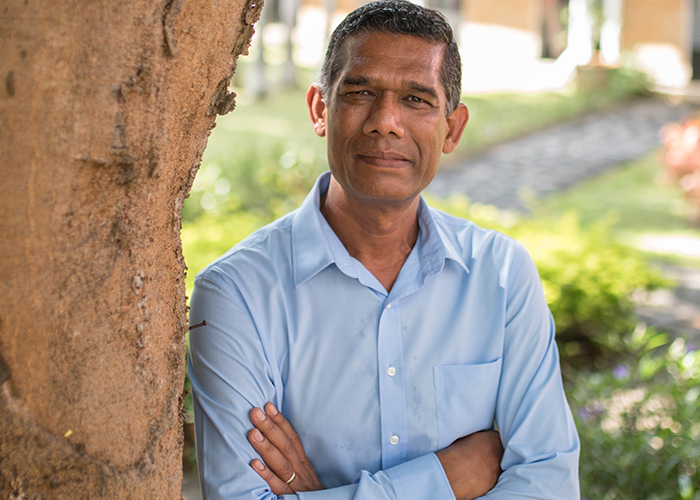 He is a member of the South African Institute of Chartered Accountants (SAICA) and of the Mauritius Institute of Professional Accountants (MIPA). After working as an auditor in South Africa and in England, Thierry joins the Corporate Finance department of BDO & Co Mauritius in 2002. Five years later – in 2007 – he becomes an associate. Since July 2012, Thierry Montocchio is Chief Finance Officer of Veranda Leisure & Hospitality (VLH) and is on the board of directors. In addition to managing the group’s finances, he oversees the Procurement branch, the administration of the headquarters and the boutiques, Blue Earth, present in each of the group’s hotels. 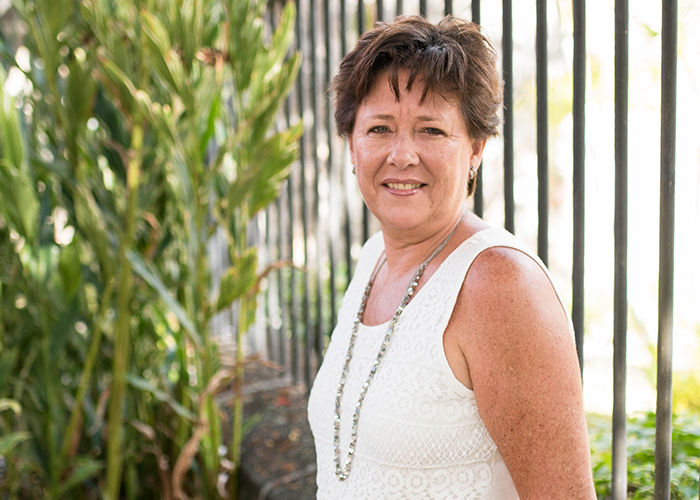 Christine graduated from a hotel management school then worked in various travel agencies in Paris before returning home – to Mauritius – in 1985. A hands-on person, she is present at the opening of the prestigious Royal Palm hotel and pursues her career within the Beachcomber group in various departments for another four years. In 1989, she joins the Pullman group, which is acquired by the Accor group. From 1995 to 2001, she is the Sales Director for the Accor-owned hotels in the Indian Ocean region (Mauritius, Reunion, Mayotte, Madagascar). From 2001 to 2009, she is Head of Sales of the Asia-Pacific zone for the Accor Paris branch, during which she splits her time between Paris and Bangkok. In 2009, Christine joins the One&Only Le Saint Géran as Sales & Marketing Director, a position she occupies until the end of 2010. With two decades of experience in the industry, Christine is an authority. She joins Veranda Leisure & Hospitality in 2011 as Chief Sales & Marketing Officer. She is at the head of a global team of sixty and manages the marketing, communications, the branding and all things digital – among many other tasks – of the eleven entities that make up Veranda Leisure & Hospitality. Her belief? To capitalize on a clear understanding of the clients’ needs and their behaviour, in order to provide a targeted offer that relies on the team’s industry expertise and understanding of the markets. Hélène hails from France where she studied in Brive-la-Gaillarde and Toulouse and obtained a BTS in cosmetics. Her career takes off at Rodez, then onboard a cruise ship, the Royal Clipper, where she manages a Phytobiodermie® spa. She arrives in Mauritius in 2002 and is present at the opening of the spas of the Apavou hotel group. In 2004 she creates a spa, wellness and cosmetics brand – Seven Colours – for the VLH group. She opens spas in the Veranda Resorts and Heritage Resorts hotels, and in 2012, creates the brand Ispa Fitness & Wellness Club by Seven Colours for the hotel group, Indigo. To this day, 10 spas and wellness centers operate under the Seven Colours brand, and nearly 200 employees and 20 spa managers have undergone training. 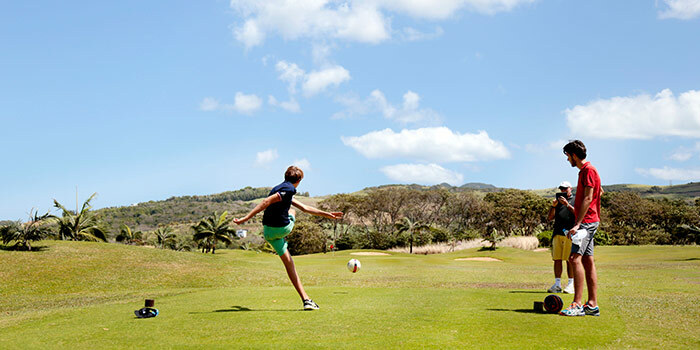 An avant-gardist, Hélène initiates a “wellness” offer – through the Seven Colours brand – for the Heritage Resorts. 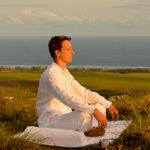 The innovative concept encompasses “Wellness Breaks,” a wellbeing program with workshops led by industry specialists from across the world (yoga, pilates, tai-chi, qi-gong…) but also guidance on how to live – and eat – well. 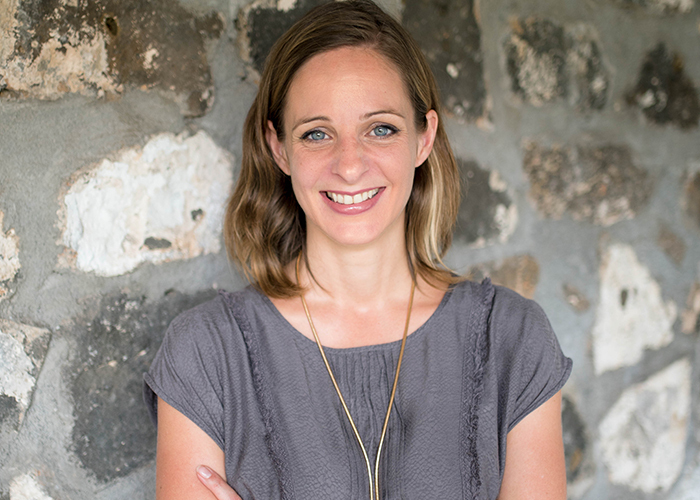 Hélène Cassan teaches Spa Management classes at Vatel Mauritius, a leading hospitality management school. Born in 1979, Jean-Cyril Jullienne has a degree in Management with a focus on Human Resources from the University of Nice Côte d’Azur. 2000 marks the beginning of his career in Human Resources in the hotel industry. 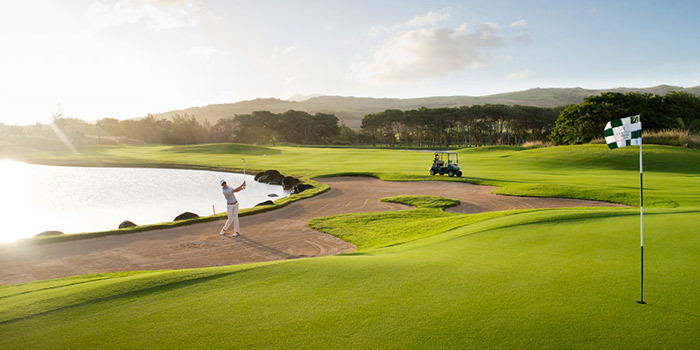 For twelve years, he partakes in the opening of various luxury hotels, both locally and regionally. He joins the Hospitality branch of the VLH group (at the time Veranda Resorts) from 2004 to 2006 as Group Human Resources Manager then takes on the same position at the Constance Hotels & Resorts group. In 2014, Jean-Cyril returns to VLH as Chief Human Resources Officer. Jaga Chellapen has a Masters in Electronics, Electrotechnics, and Automation from the Université des Sciences et Technologies of Lille, a Masters in Computer Science and a degree in Supply Chain Management and Transportation Engineering. His career takes off in France, when he joins Sollac (a steel company known today as Arcelor Mittal) as Automation and Software Installation Project Manager/ Responsable de Projet d’Automatisation et d’Installation de Progiciel and then as Logistics Assistant/ Assistant Responsable Logistique at Société Industriel Thiers. He then takes on the position of Project Manager at SVS International (a subsidiary of CIEL group) and of Consulting and Planning Manager at KM Orizzon Ltd. Since 2004, he is Chief Project & Development Officer at VLH, where he is in charge of managing projects and overseeing the IT department. 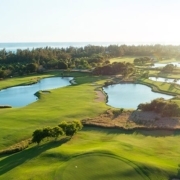 At VLH, Jaga Chellapen partook in the building project of the Heritage Awali Golf & Spa Resort and of the C Beach Club in addition to a dozen renovation projects. 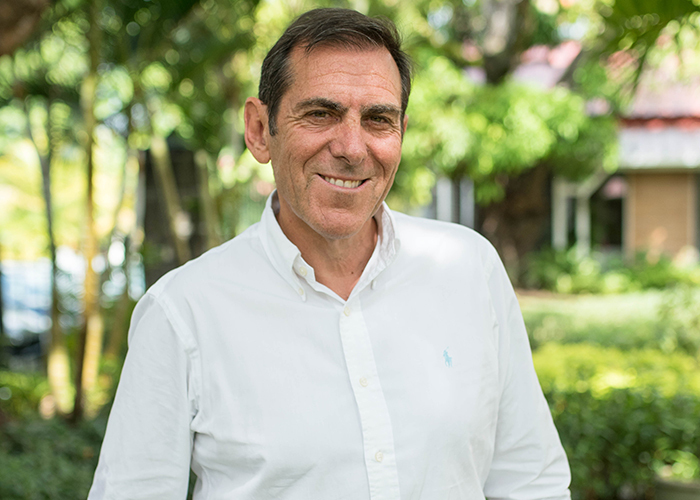 Since 2015, Jacques Charles is Chief Operations Officer of Heritage Resorts after working in the Tourism and Hospitality industry as Sales & Marketing Director of the Hôtels Méridiens in Paris. He switches to operations and holds various management positions within the same group until he joins Hôtels Latitudes in Paris, of which he is at the head. 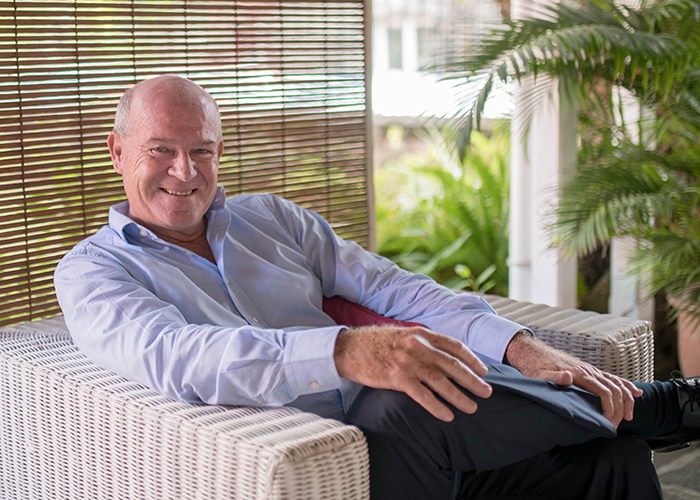 Jacques combines a wealth of experience in the Hospitality industry with in-depth knowledge of the Indian Ocean region. He held various strategic positions in the Management of prestigious groups such as Starwood Hotels & Resorts and Constance Hotels & Resorts, where he learned to navigate the complexities of managing and operating, but also the challenges and opportunity one may face in the region. 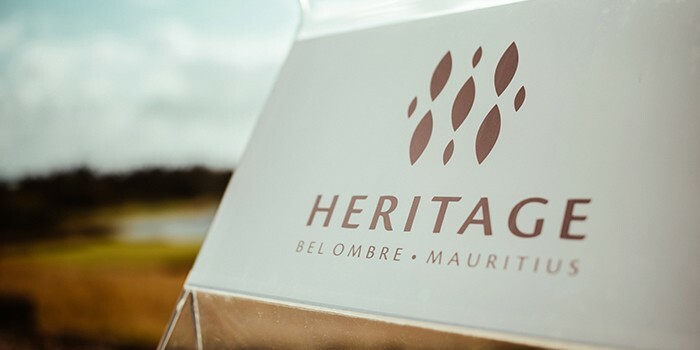 As COO, Jacques Charles initiates projects that drive Heritage Resorts to be a key player in the Mauritian Tourism industry. Marketing and sales strategies, growth opportunities, careers, sustainable development, new technologies and work culture are at the core of the Executive Team’s conversations, the ultimate goal is for VLH and its teams to thrive. 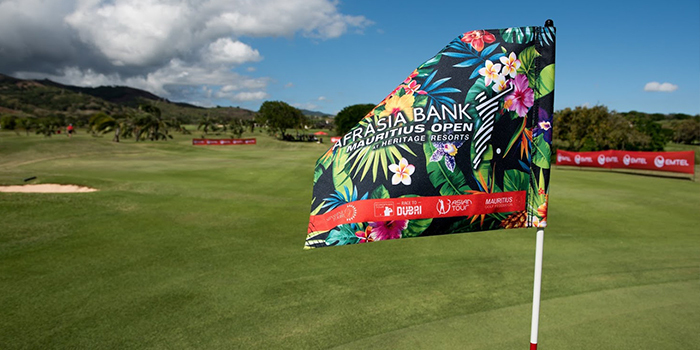 Heritage Golf Club: what's new for 2019?